I feel like it's been a while since I last opened Crown Royale... and it has. As you know, my main collecting interest is hockey, and sadly Crown Royale did not get a full release last season in that sport - though some cards showed up in Anthology. It will come out again this year for hockey, but the football version has already been released. And I'm excited to reacquaint myself with the bold look of this product. The standard base card returns with a very familiar look. Again Crown Royale gives us exactly what's in its name - a crown. The player is set in front of a white background with the team color shown through the crown. It's a brighter look for these cards - maybe too bright. The scan above doesn't do a good job of it, but live and in person, the silver foil is very bright, so it does wash out the card a bit when combined with the white background. 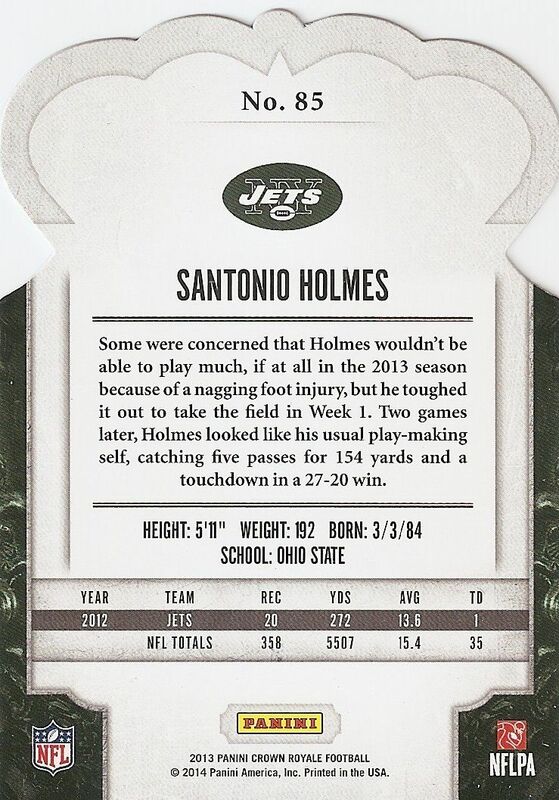 The player and team name are in etched foil along the bottom portion of the card. The etching is well done and nice, but can be difficult to read in bright light. All this combines into a base card that is a bit less ornate and eye-popping than in the years before. They are still a stand-out type of card, just not as much so. The back of the base card is serviceable as it carries on with the design from the front. Collectors get the same white backing they did on the front. The design for the back is a bit spartan as there are large areas where there is nothing there. It would have been great to see the space used a bit better. And as unique a product as Crown Royale is, the backs just don't have a whole lot that says 'Crown Royale'. At least there should be some sort of royal font used. As it stands, the back is pretty pedestrian. 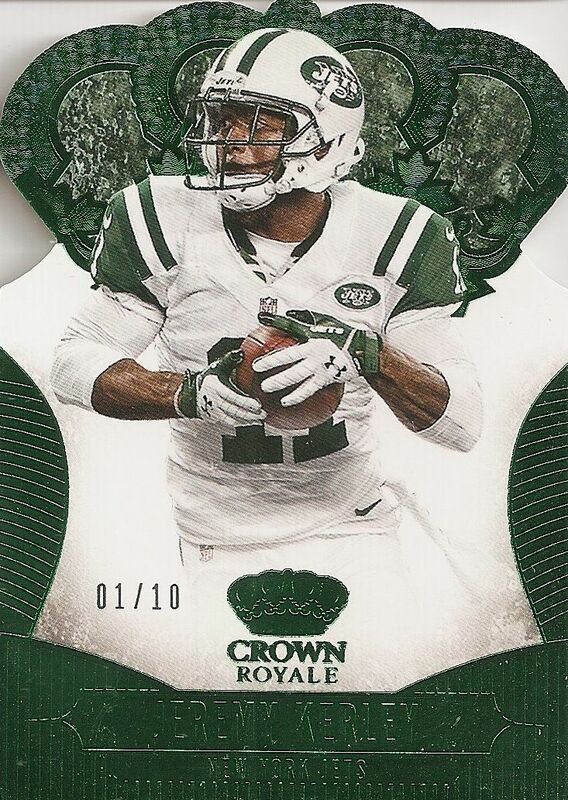 The standard rookie cards in Crown Royale have the basic look of the base card. The only difference with these rookie cards comes at the bottom. The player and team name have been made smaller and have been surrounded by Crown Royale and rookie card logos. Not all the rookie cards are the like Cornellius Carradine card above, but I wish they were. I like how close the photo is of Carradine. Most of the rookie card photos are of similar ilk to the base - medium sized player shots. Some releases use a similar photo type with all their rookie cards. I would have liked to have seen that here. The Rookie Silhouettes are one of the main reasons to buy Crown Royale. They used to be much more difficult to pull, but now have been greatly increased. 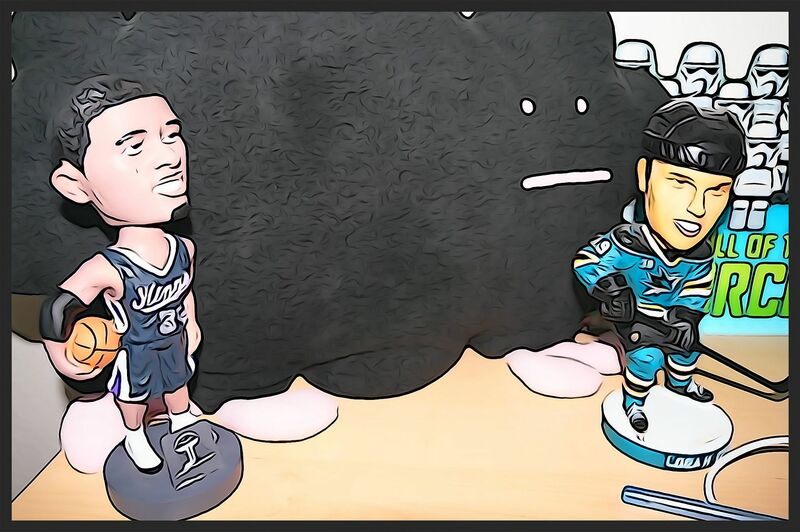 The Rookie Silhouettes come at the end of the main set and feature large prime pieces of memorabilia. There is a nice space for the on-card autograph. Panini really put in the effort with these cards. Pulling a Silhouette is always fun, and Panini has done a good job of making these cards continue to look great. Boxes of Crown Royale come with just four packs, but each pack will contain a hit. 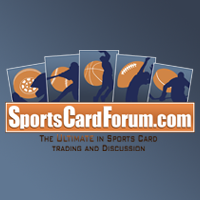 Panini states that each box will have at least two autographed cards guaranteed. It's a pretty quick break, but each pack of Crown Royale does pack a nice premium punch. 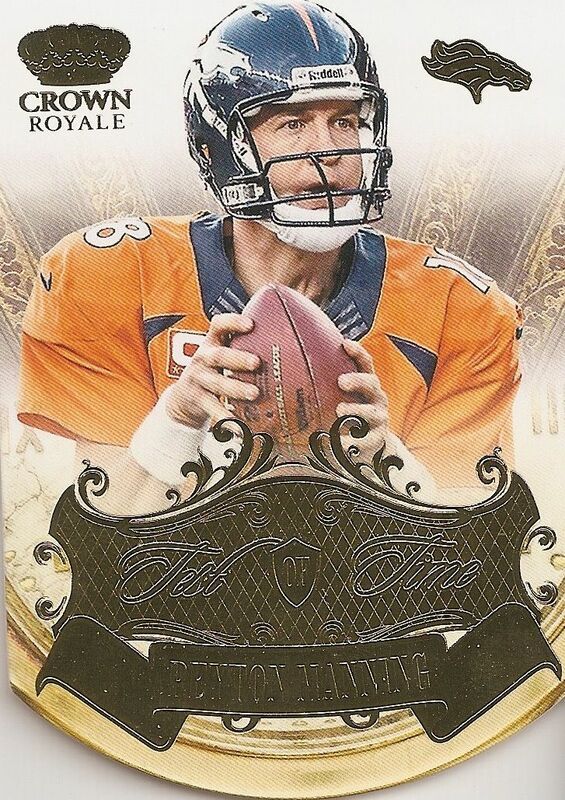 Going with the die-cut theme is this Peyton Manning Test of Time insert card. The rounded look of this card works well with the theme of the set. It's got a pocket watch feel to it. I do have two issues with the card though. One, while the gold etched foil on the front is very classy, it's pretty difficult to read the name of the insert set. I couldn't figure it out on camera, and I had to look it up online to find out what it was. Secondly, having a die-cut on the bottom of the card has always seemed a bit odd to me. I think they look weird in penny sleeves and top-loaders. That might be just me though. I do like, however, that these inserts are numbered to just 25 copies each. The Pivotal Players insert set is also die-cut. This card has a large player photo, which I like, and a generous amount of foil that works well to make this card stand out. The Pivotal Players inserts set is definitely a set worthy to be included in Crown Royale. As with just about every Panini set, collectors will find different numbered parallel card variations. As is standard with Panini, the foil color is changed to denote a different level of rarity. This Jeremy Kerley card is a green parallel numbered to just 10 - which surprised me a bit because usually Panini numbers their green parallels to 5. In Crown Royale's case, Platinum Holo and purple die cut crowns are have that honor. Good luck with tracking down all the parallel variations here. There are retail and hobby parallels numbered all the way down to one. 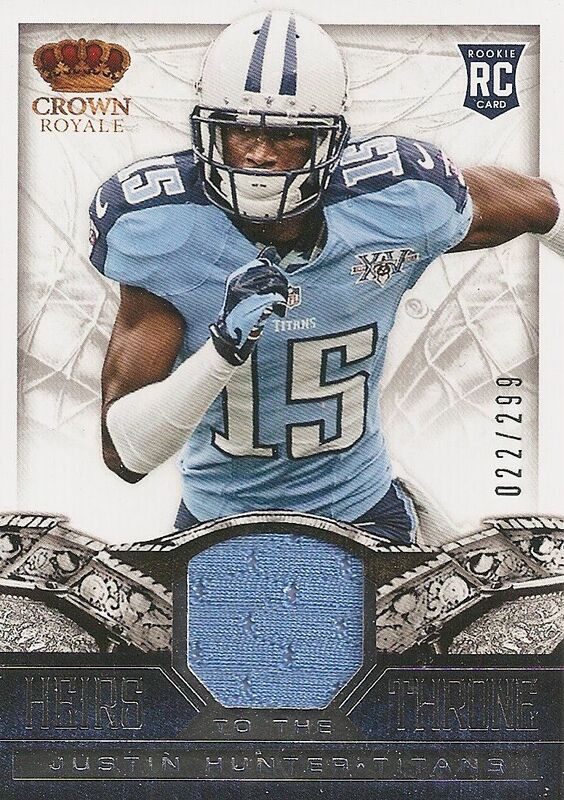 Heirs to the Throne jersey cards are a standard jersey card for players that are rookies. The design is quite nice and works well with the royal theme. The only thing holding these cards back is that the memorabilia quality. The piece is pretty small, and comes of an event-worn jersey. 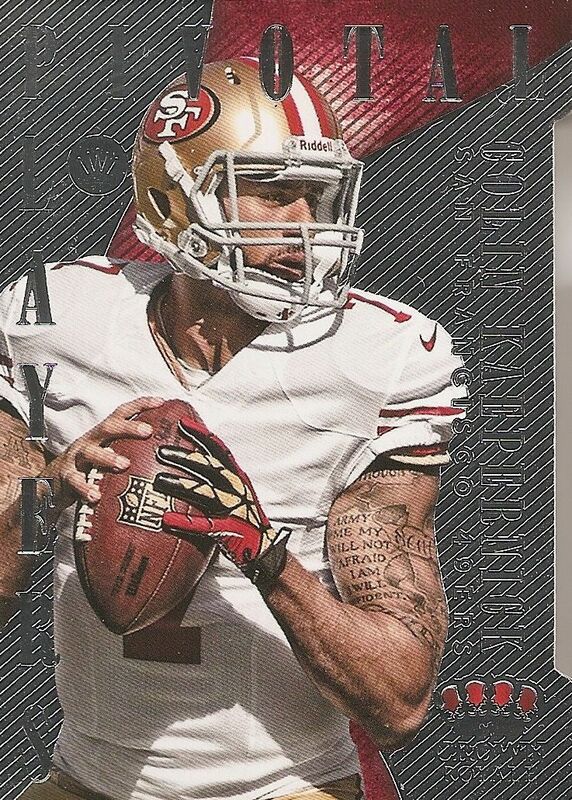 The standard jersey cards are numbered to 299, but really lucky collectors can find one of three 1/1 variants of these cards (NFL Shield, Nike Logo, and NFL Players Tag). 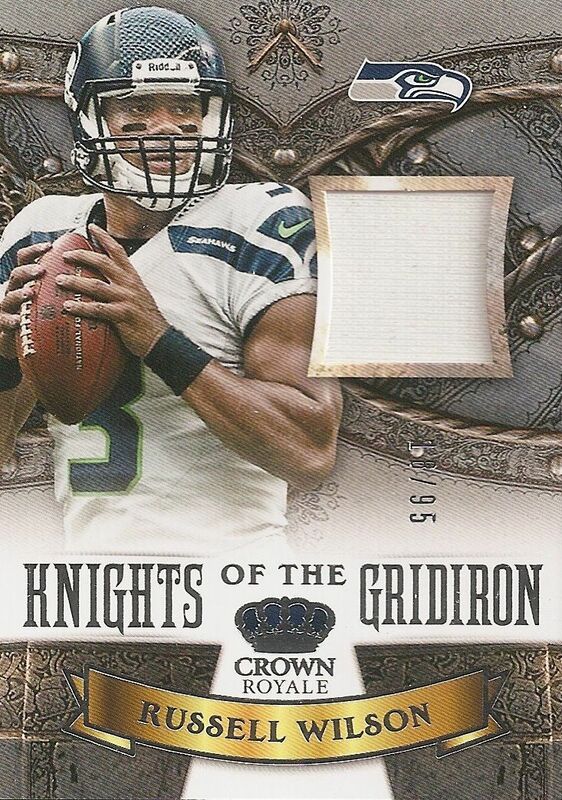 The Knights of the Gridiron is a memorabilia set that features both jersey and prime variations. The prime variations are numbered to 25, but the jersey ones like the Russell Wilson above have different numberings. Wilson is one of the shorter printed players, the card above is numbered to 99. Other players have print-runs up to 299. 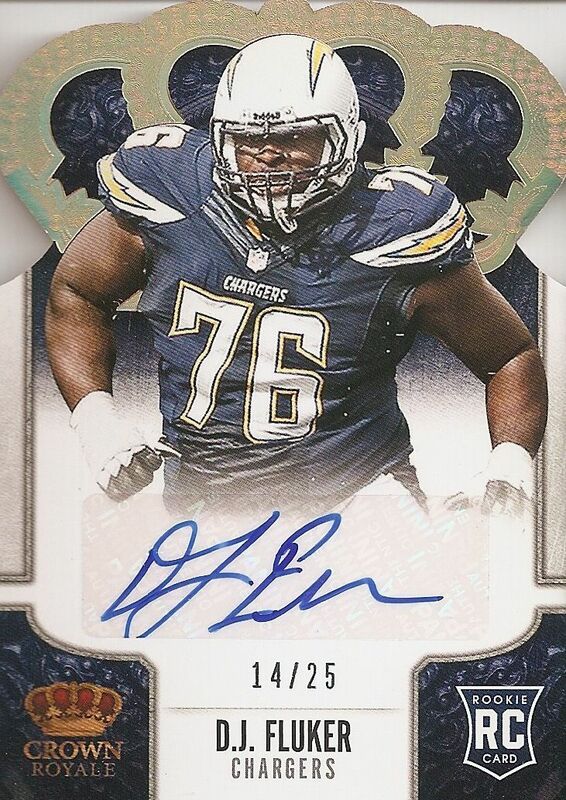 The DJ Fluker autographed card is a variation on the rookie cards that is numbered to 25. 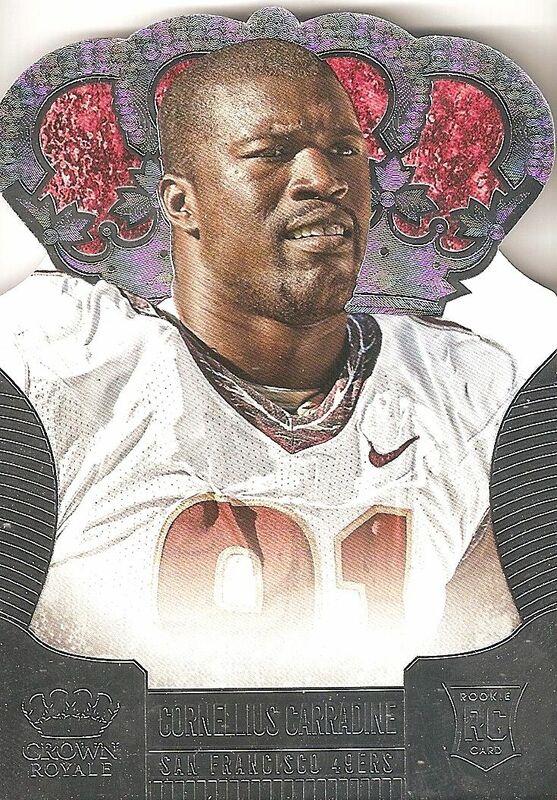 I would definitely include this as a variation of the rookie cards along with the varied colored foil ones. The autographs are on stickers with blue ink. My Fluker card does have a small part of the autograph missing where he went of the sticker he signed. And that's one of the reasons why collectors dislike sticker autos. Collectors will find all sorts of cards in Crown Royale in all sorts of variations. It is what collectors have come to know from the brand. By now, Crown Royale has established itself well, and is giving collectors what they expect it to. Crown Royale is a favorite among many. It comes with a brash look and design that collectors really enjoy. Add that to autographed and prime materials, and you have a great combination. I definitely recommend Crown Royale as a product that people will enjoy for the fun of opening. Though the boxes are small, and only contain four packs, the content is rich and of high quality. Even the base cards are great in their own right! This year's Crown Royale comes out as a pretty established brand - a known quantity. 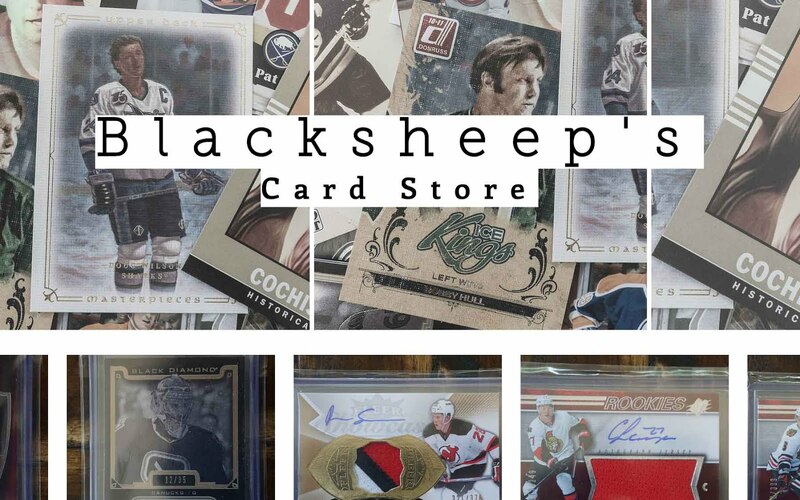 Though it may not be as dazzling as it has been in years past, it is one of Panini's most established and stable products... which gives collectors confidence in it. I would definitely recommend buying a box or two of this year's Crown Royale. Awesome break I really like the Matt Barkley silhouette and the Justin Hunter jersey card both look cool. awesome break like the crown royale products! Looks good and crown royale is always nice product no matter of the sport. Very nice looking silhouette you pulled. That silhouette looked really good. Don't like how the foil makes the names really hard to read. Reminds me of the foil they used in Dominion hockey. Like the silhouettes better when the player is centered in the middle of the card as in prior years. Pivotal Players design is great but doesn't really fit in with the overall set design. Belongs in product like Totally Certified. Crown royale looks great this year, silhouettes should drop less often though. + The Silhouette autographs do always end out very well. - There's way too much white space on the base cards. In a product like Crown Royale I would have liked to see something more..royal? 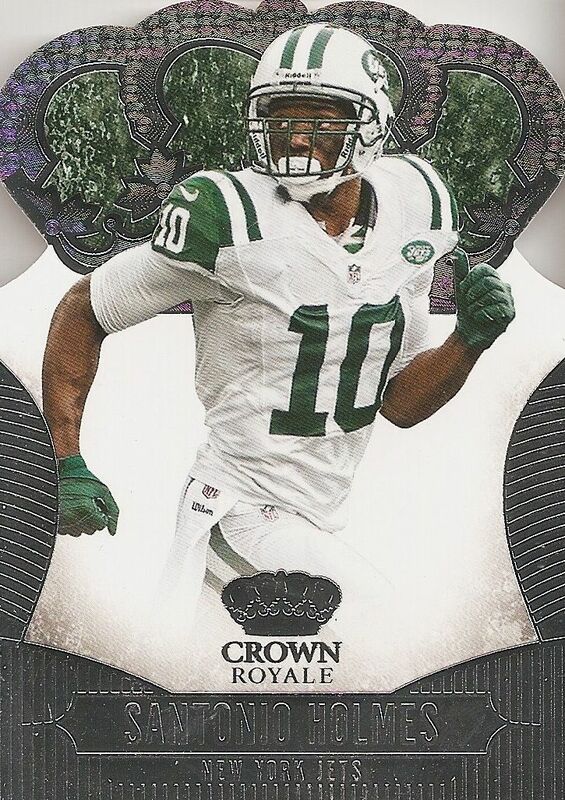 Crown Royale is a great product and I don't really watch or buy football cards because I live in Canada but these cards were very nice many amazing pulls like the green card numbered to 10! Nice! Nice lookin relic cards and die cuts! Crown Royale is a great product. You got nice hits like that silhouette which looks awsome. 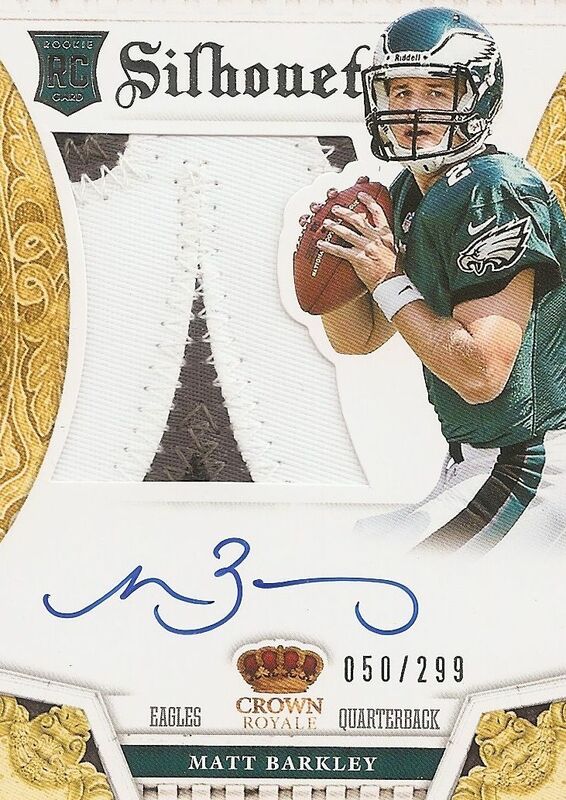 I really lole the foil on the base cards and the team colour inside the crown. I love the inserts, especially the peyton manning diecut insert. Great review for a great product. Thanks for the giveaway Blacksheep!